Noosa Spring Carnival this weekend! CALL TO RALLY! Noosa Spring Carnival this weekend! 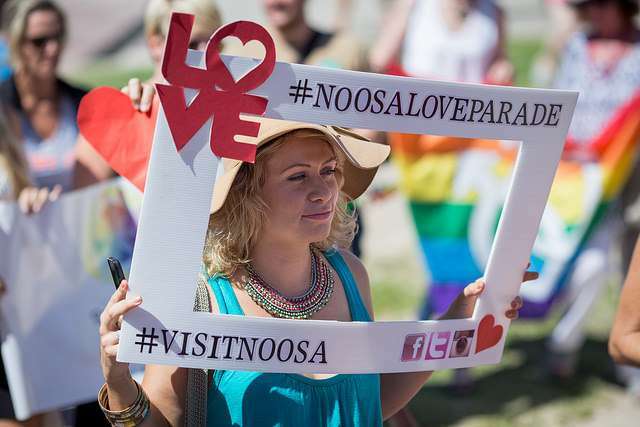 The Sunshine Coast will be out in force this weekend standing up for LGBT equality at the Noosa Spring Carnival. Held Saturday 24 October between 12:00pm – 3:00pm at the Lions Park, Gympie Tce, Noosaville, the Spring Carnival is a free event which will feature speakers from all political parties as well as entertainment by various local acts. One of Australia’s most tireless LGBT campaigners Shelley Argent will also be a guest speaker on the day. Great prizes will be up for grabs through a gold coin raffle as well as a prize for the best dressed pet. All monies raised will be going to Headspace Maroochydore, a great organisation supporting youth mental health.